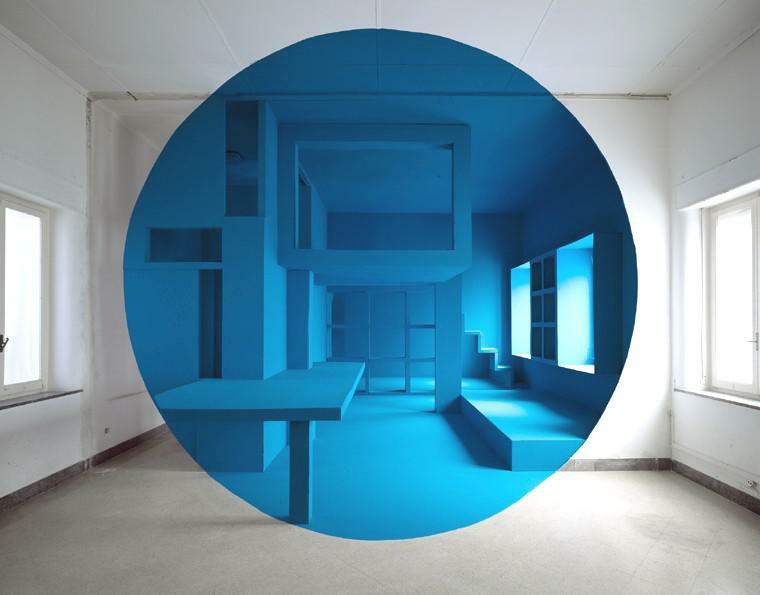 Georges Rousse was born in 1947 in Paris, where he currently lives andworks. When he was 9 years old, Georges Rousse received the legendary Kodak Brownie camera as a Christmas gift. Since then, the camera has never left his side. While attending medical school in Nice, he decided to study professional photography and printing techniques, then opened his own studio dedicated to architectural photography. Soon, his passion for the medium led to devote himself entirely to photography, following in the footsteps of such great American masters as Steichen, Stieglitz and Ansel Adams. After he discovered Land Art and Malevich's Black Square against a white field, Georges Rousse altered his relationship to photography, inventing a unique approach that shifted the relationship of painting to space. He began making installations in the types of abandoned or derelict buildings that have long held an attraction for him--creating ephemeral, one-of-a-kind artworks by transforming these sites into pictorial spaces that are visible only in his photographs. From the early 1980s on, Georges Rousse has chosen to show his photographs on a large scale, so that his viewers participate in the work and experience the sense of space in a compelling way. Collapsing the usual restrictions between artistic mediums, his unique body of work quickly made its mark on the contemporary art world. Since his first exhibition in Paris, at the Galerie de France in 1981, Georges Rousse has continued creating his installations and showing his photographs around the world, in Europe, in Asia (Japan, Korea, China, Nepal. ), in the United States, in Quebec and in Latin America.